Welcome to the Americas Best Value Inn of Shelbyville/ Tennessee. We are conveniently located on Cannon Boulevard via TN-10/US-231. Shelbyville is known as the Walking Horse Capital of the World/ so be sure to take the kids to the Walking Horse Celebration and the Tennessee Walking Horse Museum. Popular attractions including the Jack Daniels Distillery/ Historic Downtown Bell Buckle/ and the George A Dickel Distilling Co are less than 20 minutes away. During your leisure time/ golf at the River Bend Country Club/ bowl at Shelbyville Lanes/ and play sports at the Shelbyville Recreation Center. Our hotel is near several restaurants for your dining pleasure/ including El Mexico/ Bocelli Pizza and Pasta Shoppe/ Cedar Bucket Restaurant/ Chili*s/ Ruby Tuesday and Legends of Shelbyville. If you like to eat on the go/ we are less than a mile from several fast food restaurants. . Americas Best Value Inn - Shelbyville features 74 well appointed guest rooms. All guest rooms are generously equipped with Hi-Speed Wireless Internet Access/ Microwaves/ Refrigerators/ Coffeemakers/ Satellite TV with Premium Channels/ Hairdryers/ Irons/ Ironing Boards/ and Free Local Calls. At this pet friendly hotel/ all of our guests are invited to enjoy a variety of amenities including our Complimentary Continental Breakfast/ Fax Services/ Vending Machines/ and Ice Machines. Pets are allowed charges and restrictions apply. 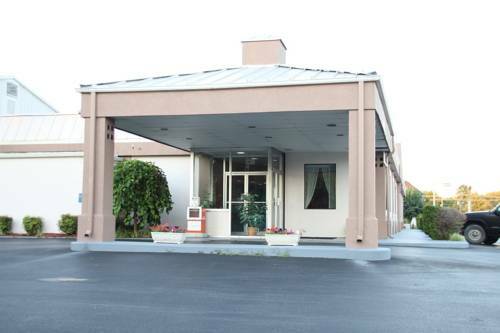 Americas Best Value Inn provides friendly customer service/ superior accommodations/ and affordable rates. ABVI Shelbyville/ Tennessee - Weve Got You Covered. We are located on Cannon Boulevard via TN-10/US-231. Our address is 317 North Cannon Boulevard/ Shelbyville/ Tennessee 37160. . The employee training displays at Cook's Pest Control were so popular that they grew into a full-blown science museum.